Sinn Féin councillor Stephen Cunningham had been missing for a fortnight. SINN FÉIN HAS said it will give one of its councillors the space and time he needs after he went missing for a fortnight. 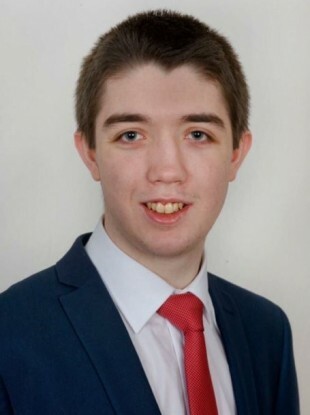 Cork city councillor Stephen Cunningham, 23, was reported missing earlier this week after he had not been seen since 18 March. He has since returned home. Cunningham, one of the youngest elected politicians in the country, issued a statement on Wednesday thanking those close to him for their support and requesting privacy. He said he had been feeling “enormous pressure” and that it had not been easy for him. Sinn Féin’s Cork North Central TD Jonathan O’Brien said that Cunningham would be given the support of the party and the space and time needed to “get things in order”. Cunningham is in his final year at University College Cork where he is studying politics and government. “He was just struggling a bit, trying to get the balance right and, as he said himself, he was under severe pressure,” O’Brien said. Sinn Féin became particularly concerned after Cunningham failed to attend any of the 1916 commemoration events last weekend. His phone had been switched off for several days. The party liaised with Cunningham’s family earlier this week before he was reported as missing to the gardaí on Wednesday. Later that night Cunningham made contact having seen the appeal for his whereabouts on Facebook. “I spoke to him yesterday. He’s okay. Obviously he’s very grateful for everyone’s concern and the amount of trouble that we went to to make sure that he was okay. He just needs a bit of space and time to spend with his family and try get things in order. O’Brien said that he would help out with any constituent queries or work that Cunningham has been dealing with until the councillor, who is based in the north east of Cork city, is in a position to return to his duties. “He’s going to get whatever space and help and support he needs from the party and family and friends,” O’Brien added. Email “Sinn Féin councillor who went missing 'needs a bit of space and time' ”. Feedback on “Sinn Féin councillor who went missing 'needs a bit of space and time' ”.